Ellis Medicine provides some of the most comprehensive benefit packages available. We are committed to continually improving and enhancing these benefits in order to meet our employee's needs and the needs of their families. The programs we offer not only provide protection for you as an employee and your family today, but are designed to help build financial security for your future. The following descriptions of our benefits are intended to provide you with the highlights of our programs and are not all-inclusive. Because our benefit packages change often these descriptions are subject to change without notice. For the latest information about Ellis Medicine benefits please contact an Employee Benefits Specialist at 518.243.4004. 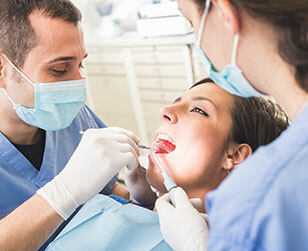 Ellis Medicine further enhances your health care coverage by providing a dental care benefit program administered by Delta Dental of New York. This plan provides dental services from oral examinations and cleanings to major services including oral surgery and prosthetics. Coverage can begin on the first of the month following 30 days of continuity of service. Ellis Medicine recognizes that your benefits are an important part of your total compensation. Under Section 125 of the Internal Revenue Code, employers may allow employees to pay for certain types of medical, dental and dependent care expenses with pre-tax dollars. Under the Flexible Spending Account arrangement, you can reduce your current taxable income and also increase your spendable income each pay period. 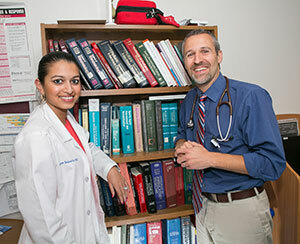 Ellis Medicine offers competitive health care insurance for you and your family. 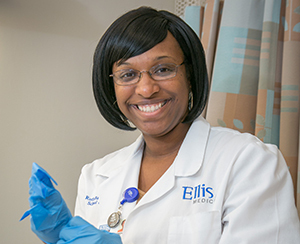 The Ellis Plan is a self-insured plan using a Preferred Provider Organization (PPO) model which is administered by MVP Health Care. The plan provides hospitalization, medical and surgical services, outpatient services, well care for children and adults, a prescription drug plan with mail order option, behavioral health coverage, diagnostic services and a personal health advocacy program. There are no "pre-existing" clauses in the Ellis Medicine Plan. Coverage can begin on the first of the month following 30 days of continuity of service. Ellis Medicine provides group term life insurance coverage paid for by Ellis Medicine. In the event of an accidental injury, you are also covered for dismemberment benefits as outlined in the contract. Coverage is available at no cost to regular full time and regular part time A employees. The amount of coverage is based on employment status. Ellis Medicine maintains a defined contribution plan designed to provide you with a pension benefit at retirement and portability of your benefits if you leave Ellis before retirement. Normal retirement is considered to be at age 65 although there is no mandatory retirement date. The plan allows for personal, voluntary contributions and hospital contributions to be made to a 403(b) account after eligibility period is met. You are immediately 100% vested in all hospital contributions. Ellis Medicine provides you the opportunity to purchase additional voluntary benefits at low cost paid through payroll deductions. These include but not limited to voluntary life, disability and cancer protection plan.